MyBusiness is an award winning accounting software package which was designed with small businesses in mind and is accredited by The Institute of Financial Accountants. 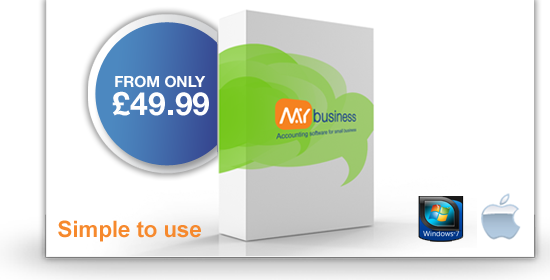 As one of the easiest small business accounting software; the MyBusiness accounting software is compatible with Mac and PC and is also available online. Our powerful accounting software is integrated with customer relationship management (CRM), diary, tasks and more. Download the accounting software for FREE for 30 days using the Free Trial button below. MyBusiness has been around for over 10 years now, we were the first company to develop easy to use accounting software for small business. Our accounts software is now the ideal choice for businesses from 1 to 30 employees, whatever VAT scheme you use, or even if you are not VAT registered. It easily handles stock management, reporting, chargeable time and much more. 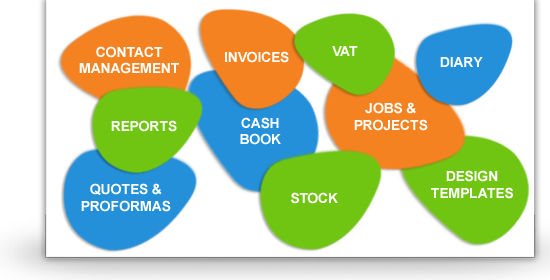 MyBusiness accounts software includes fundamental business accounting features such as VAT management (Cash, Invoice, Flat Rate); Stock Management; Multiple Accounts; Cash Book; Invoicing and Invoice templates; Quotes; Powerful Reports; Journal.Plus integrated Contact Management. MyBusiness is the essential Small business bookkeeping software. We know that great support is vital when you're using accounting software, however easy it is to use. We're proud of the exceptional free support we provide to our customers. 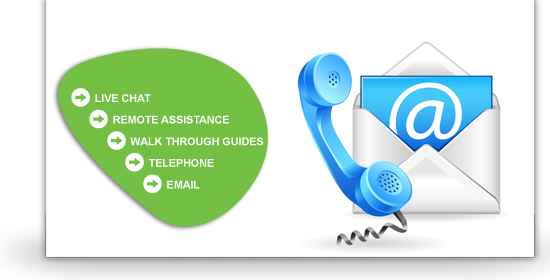 You can telephone or email our support team where one of our dedicated technicians will be happy to help with any issue or quire you may have. We can also deliver a Remote Desktop Connection allowing us to fix issues on your own machine during the support call. We offer three unique accounting software products for small businesses, click the button below to compare our range. Download our free trial with no strings attached; no payment details are needed simply experience our software for 30 days. Got a question about MyBusiness? Check out our common FAQ's. MyBusiness will be very easy to use for your clients and will provide account reports to help you at the end of the year. An easy to use Journal and a comprehensive "Accounts Preparation" makes sure of that. We also provide a FREE BUREAU SOFTWARE for Accountants in Practice to manage the accounts of multiple clients more easily. After searching the internet and looking at countless other accounting packages I downloaded the MyBusiness demo for 30 days and within a week I purchased their Essentials package. 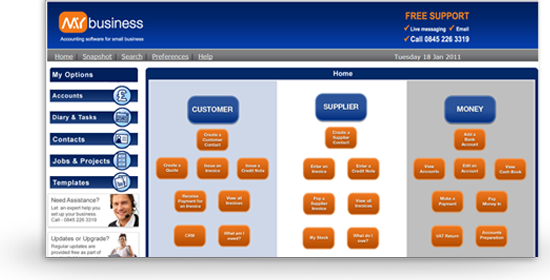 With its easy to use features and its low annual price I am now able to process invoices and update my books with ease." MyBusiness accounting software for small business is not only easy to use bookkeeping software but it also provides powerful accounting features and provide the information needed for end of year accounts preparation. MyBusiness accounting software has been around for 10 years and was designed and developed with small businesses in mind, our software is fully compatible with both PC's and MAC's. Business bookkeeping using MyBusiness accounting software allows you to manage your books without having to understand complicated accounts or double entry bookkeeping. Our accounts software also allows you to manage your customers and contacts in one simple package, along with simple project management, diary and tasks management. That's why MyBusiness accounting software is the easiest to use accounting software for small business.